This our spooky and final issue! Featuring Canadian Alt Model Vampire Dark Rose, Lady Chappell, Megan Smith, Corseted Death, and many more! We say farewell with flair and excitement for the future! 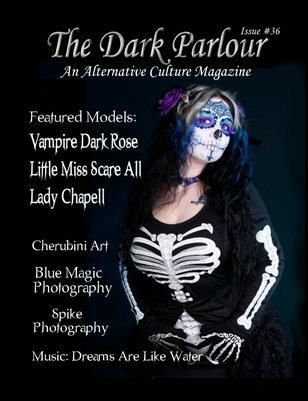 Enjoy our Final Edition of the Dark Parlour Magazine!